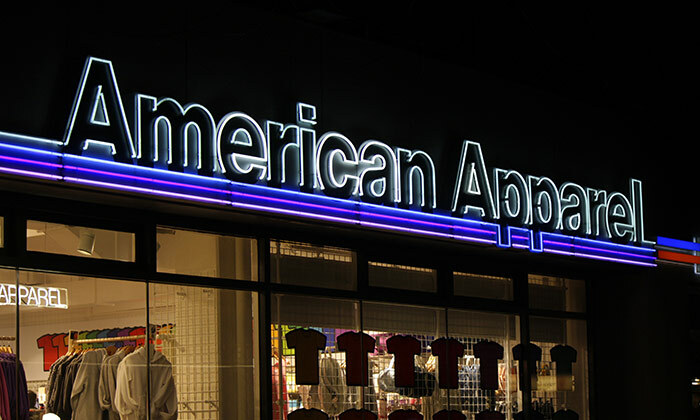 American Apparel has come under fire from customers and critics for yet another controversy. Following the suspension – and eventual firing – of controversial American Apparel CEO Dov Charney, the retailer has made headlines for suggesting their sales associates wear T-shirts with suggestive slogans on them this coming Black Friday. An employee of the brand recently emailed The Mary Sue claiming the new T-shirts and buttons that were distributed to staffers for use on Black Friday bore the slogan: ‘Ask me to take it all off’. “Although our source initially understood that the shirts were mandatory for Sales Associates at American and Canadian stores, she says employees instead have the option of wearing a black shirt with an “Ask Me to Take It All Off” button on it,” The Mary Sue reported. The anonymous employee said the campaign will remind female staff and customers “that a woman’s body is never hers alone”. “This slogan on these tee shirts – which were distributed to both male and female employees as optional – was originally intended to be a play on words to engage customers during our Black Friday Sale, which features an additional 50% off items that are already marked down 50%. “We understand that this offended an individual employee who spoke up about his / her concerns. American Apparel is a company that values free speech, and most importantly, creating an environment where employees feel valued, protected, and safe. Read the full article from The Mary Sue here.